A flat state machine has one active state. In a hierarchical state machine (HSM), if the HSM is in a child state, it's also in it's parent state. 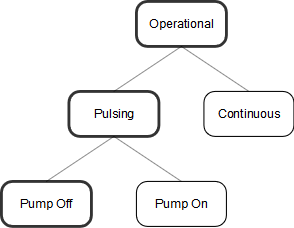 So, an active state configuration of an HSM consists of multiple states which form a tree. If the HSM doesn't have orthogonal regions, the tree simplifies to a list. Is there an accepted term for the deepest nested state(s) in an active state configuration? If it helps clarify the question, here's an example of a simple HSM without orthogonal regions. 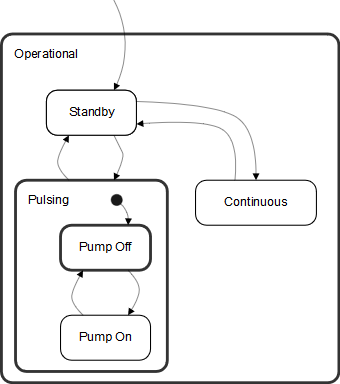 Active state configuration is shown with thick outline. Browse other questions tagged terminology state finite-state-machine or ask your own question.